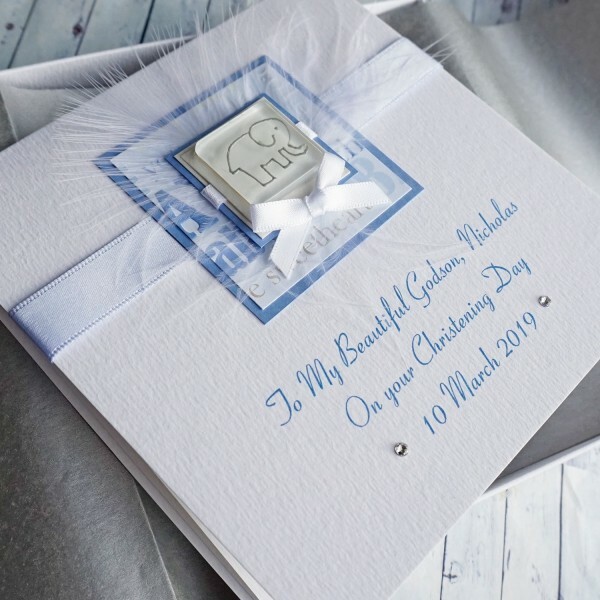 Handmade Christening Card for a Baby Boy - "Cute Elephant"
A cute christening card for a baby boy, son, grandson, nephew, with a lovely hand painted silver elephant. The glass tile is mounted on textured and pearlescent cards with satin ribbons and a marabou feather. Also suitable for the birth of a new baby boy. 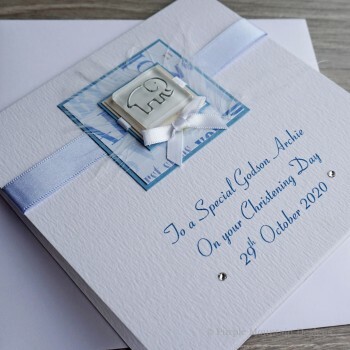 The card in the picture reads 'To A Special Godson Jacob On Your Christening Day' followed by the date, but it can be personalised for a special friend or relative and for the birth of a new baby boy. 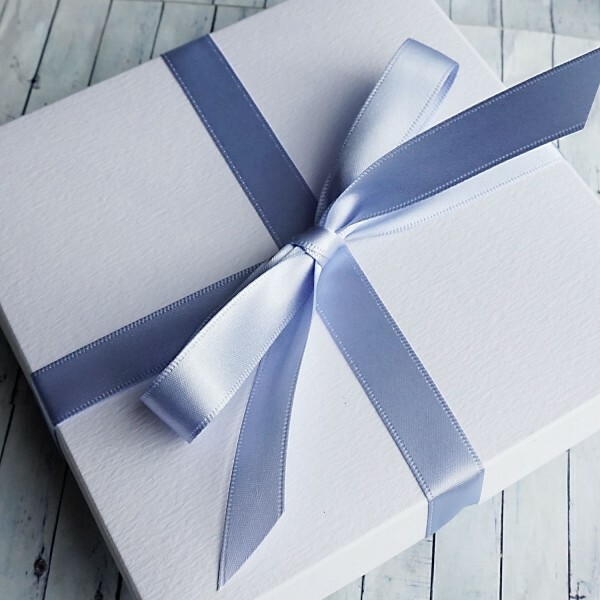 The card is supplied with a matching textured insert and a plain white envelope. 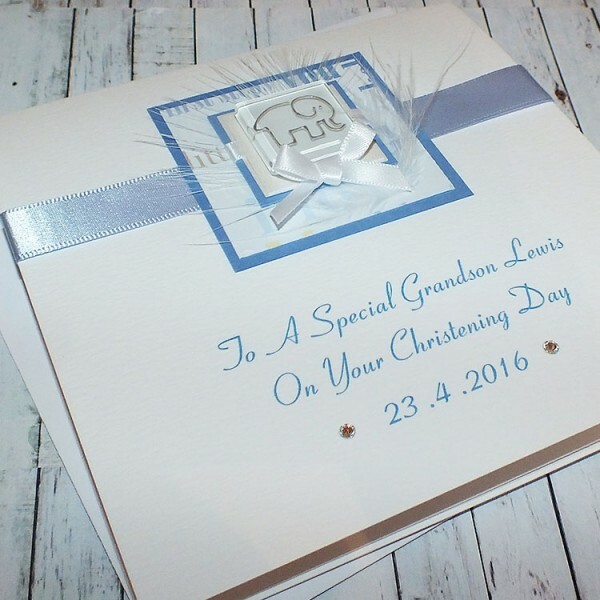 Handmade Boxed Christening Card for a Baby Boy - "Cute Elephant" A cute chris..
Blue Elephant Christening Keepsake Box or Memory Box Christening Gift for a baby boy. T.. 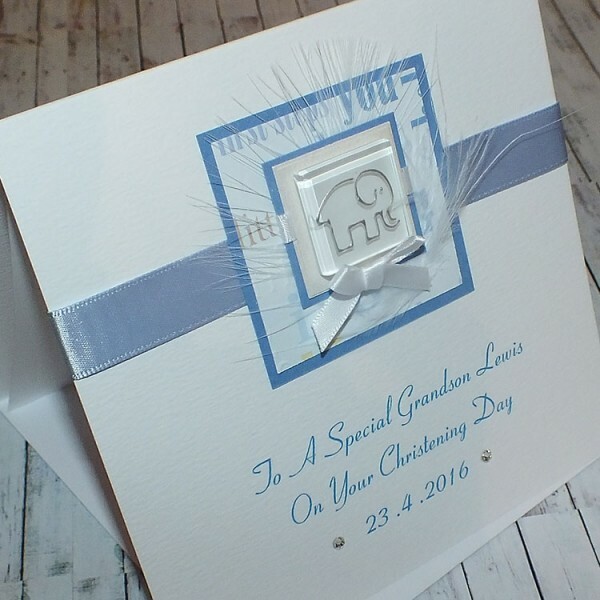 Handmade Boxed Christening Card for a Baby Boy - "Blue Elephant" A cute chris.. 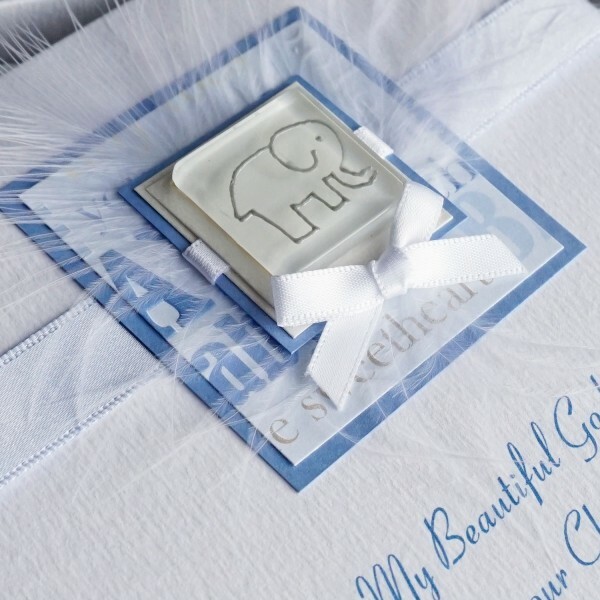 Handmade Boxed Christening Card for a Baby Girl- "Pink Elephant" A cute christenin..